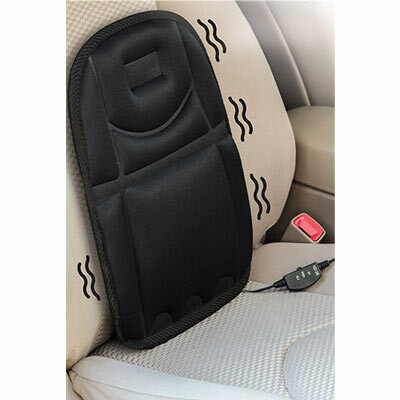 Ride in luxury with our unique and oh, so relaxing lumbar-supporting Car Massage Cushion with soothing massage. 12v; operates from your car's lighter socket. Convenient on/off switch. Pocket to store cord when not in use. Imported. 75"l cord, 13"h with 34"l back strap.